Firstly, I would like to say I hope you had a fantastic Christmas and New Year's Eve. I have been so lucky this year and was thoroughly spoilt! I love reading these posts so I thought I would share what I got for Christmas. 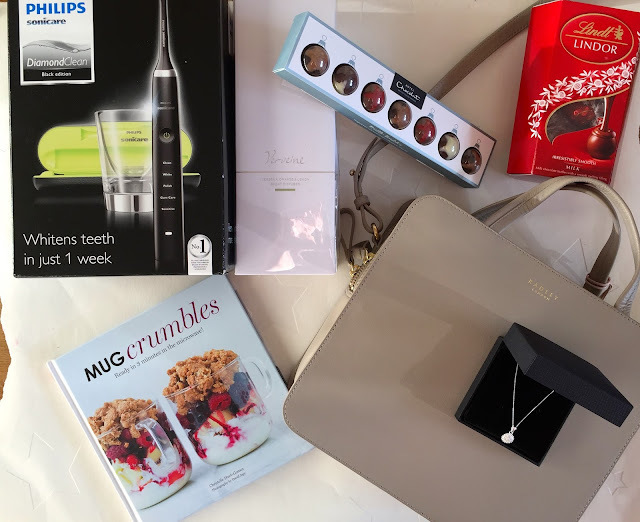 From my family I got lots of lovely things, I couldn't decide on one particular thing that I wanted so I ask them to surprise me with lots of little things. I got a really lovely scarf from Oliver Bonas and a candle and hand cream from the Indian Pomelo range. I got lots of chocolate which I am currently munching my way through and 2 lovely reed diffusers from the White company in 'Winter' and 'Verveine'. 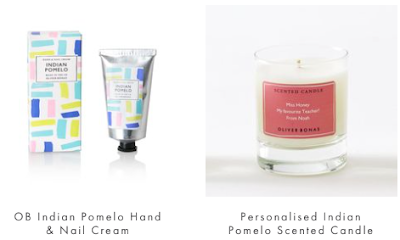 There is currently 20% fragrance so I would go and check out the sale here. From my lovely boyfriend I got the Philips Sonicare diamond clean toothbrush. 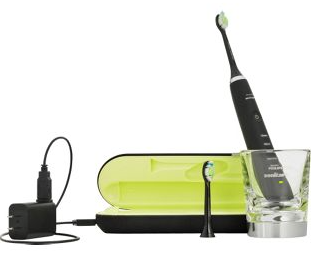 Now, I was a bit sceptical at first because I already have an electric toothbrush but this has blown me away. It is incredible! I feel like I have had my teeth cleaned at the dentists every time I brush my teeth. What's really cool is it charges in the glass and comes with a case that can be charged up as well! If you like your gadgets, I would definitely recommend this one- it is currently half price here. He also got me the Jo Mallone perfume in Wood sage and sea salt which I have wanted for so long and some new Bose in ear headphones- thoroughly spoit! From my boyfriend's family I got a mug crumble recipe book. Crumbles are my favourite pudding so I am really excited to try these out- what's even better is they go in the microwave! I'll make sure I show these on my blog with the recipe if there are super tasty! I also got a lovely necklace from H Samuels from his sisters. It is so beautiful and delicate with little diamonds in the centre. Finally was a new Radley handbag which I was shocked by. I've never had an expensive handbag that comes in it's own special pouch before. I am so lucky. I got the Radley Barbican bag. It is so beautiful and comes with small straps or a shoulder strap. It is the perfect size and comes with two zips. I can't wait to wear it!